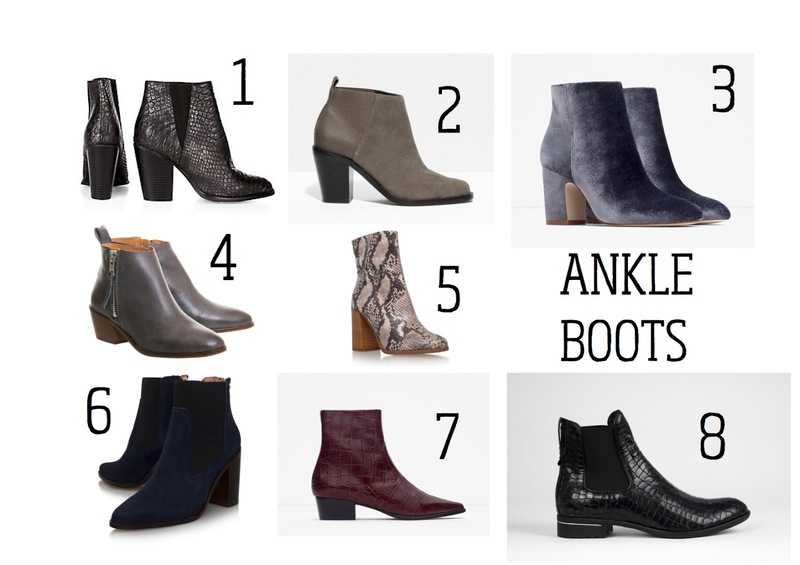 Let's face it, ankle boots are a must and we need them in our lives! When it comes to Autumn/Winter, personally I'm not big on wearing over the knees or knee high boots, basically anything higher than the shin, apart from wellies. But show me an ankle boot any day and I'll be wearing them without fail (flats or mid heels of course!). End of summer last year I came across the shoe store Shoe Embassy and managed to find the perfect fit Chelsea boots for me. Having small ankles and not suiting many boots I knew I would regret not buying these. Shoe embassy is fairly new only established in 2011, they specialise in footwear that are hand finished in Europe from the 'finest European leather'. The boots I own are so comfortable and after recommending them to a friend, she also has a pair. Ankle boots look great with most outfits, whether it's to toughen up a girly look or wear casually with jeans, there's definitely one for you this season as the stores are full of it! This Autumn/Winter ankle boots are bigger than ever, suede being a favourite due to the 70s trend, but animal prints, velvet, studded and the classic blacks are huge too. Ankle boots are a must item, not just for this season but a wardrobe essential to keep. With the high street giving you more choices than ever to pick a style, anything goes this season, here is a round-up of a few of my favourites around the high street.